If you're a diabetic and need to lose weight, chances are your doctor recommended an 1800 calorie diabetic diet plan. Eating healthy and maintaining a properly balanced diet can be confusing if you're unsure what serving size or portions of foods are allowed. A good diet approved by the American Diabetes Association suggests the following servings. In your diet plan, remember to keep it balanced and drink up to eight cups of water per day. Start an exercise routine of thirty minutes per day by walking, stepping in place or joining a gym and asking a personal trainer to help you with exercises geared towards losing weight and muscle toning. Succeed in your diet by choosing foods you enjoy. If you don't like apples, eat pears. If red meat isn't your choice for protein, try pork or fish. Eat a three-quarter cup of yogurt instead of drinking one cup of low-fat milk. Fill up with raw vegetables like carrots, green peppers, mushrooms, and celery.Learn how to read food labels because a food that may be low in calories doesn't mean it's not high in starches, fats or proteins. Stick with foods that are low in carbohydrates and trans fat to ensure your blood glucose levels are balanced. Above all, try to eat three healthy meals a day and at least one snack. Succeeding in an 1800 calorie diabetic diet isn't as challenging as you might think. Here are some tips to assist you in achieving your weight loss goals. Keep a snack with you whether at home, work or play. A cup of raw vegetables, plain popcorn, or pretzels will keep you from eating a large meal or snack. Try to space your snacks and meals two to three hours apart. Never go more than four or five hours without eating. If you do, you'll be tempted to eat the wrong foods. Skipping meals or snacks is never good. Remember that the recommended foods and their serving sizes keep your glucose level on track. Skipping a meal could cause your blood sugar to decrease. Eat a variety of foods to keep you on pace. Choose sweets and drinks that have artificial sweeteners instead of sugar. 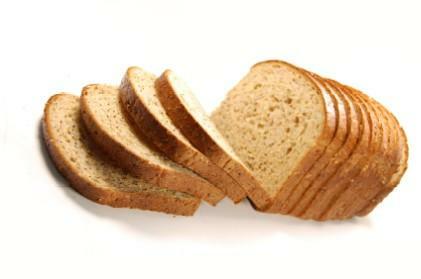 Foods high in fiber such as whole wheat grain breads or cereals with oats or bran. Foods that are high in fiber will make you feel full. Cut down on the salt and use a salt substitute or non-salt seasonings. Skip processed foods like hot dogs, cured meats, fast food items or pre-packaged frozen meals. Remember that fresh is best. Make smart food choices by planning your weekly menu before you go grocery shopping. Mix and match recommended foods in the right serving size. Choose a healthy variety of foods and use this chart as an example of good food choices. Ask your physician to recommend a nutritionist to help you design a good 1800 calorie diabetic diet plan menu, or visit your local community or senior center, and ask if they have seminars on diabetic diet plans. Many communities also offer free nutrition planning at public libraries or hospitals.Whether you've just been diagnosed with diabetes or have been a diabetic all your life, maintaining a balanced diet will help you lose weight and keep you healthy. Reach your goal weight by eating right, mixing foods so that your palate doesn't get tired, drinking lots of water, and exercising. Finally, remember that having a slice of birthday cake or holiday pie won't hurt you as long as you don't overdo.